The Skilcraft U.S. Government pen, like the Fisher Space Pen or the Parker 51, is a classic pen with a storied history. Created decades ago by the National Industries for the Blind, this pen was made to comply with a 16-page government document that mandates the specifications for ballpoint pens to be used by federal employees. For example, in order to comply with these specs, these pens must perform between -40°F up to 160°F. The ink cartridges have to write for at least 5,000 feet, and they can averaging no more than 15 ink blobs per 1,000 feet of writing. The average ballpoint wouldn’t be up to the task. 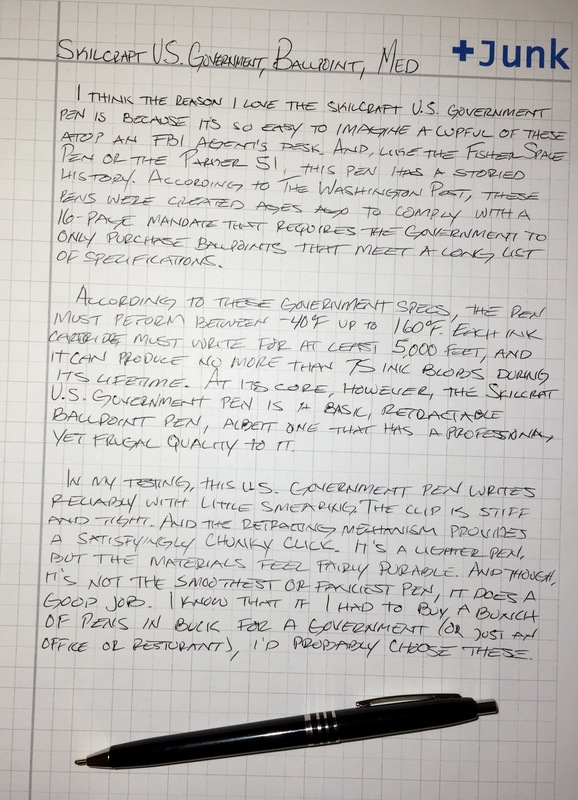 At it’s core, however, the Skilcraft U.S. Government pen is a basic, retractable ballpoint pen, albeit one that has a professional, yet frugal quality to it. In my experience, it writes reliably with little smearing. It’s a light pen, though it still feels fairly durable, and the retracting mechanism provides a satisfyingly chunky ‘click.’ The clip is on the tight side, and it’s neither the smoothest nor is it the fanciest ballpoints around. But, overall, I like it. Maybe the main reason I like it so much is that it’s so easy to imagine a cupful of these ballpoints atop an FBI agent’s desk. So, if I had to order pens in bulk for the government (or even for an office or a restaurant), I’d probably go with these by Skilcraft. It’s a retractable ballpoint that works well and looks nice. If you’re interested in more history about the Skilcraft U.S. Goverment pen, The Washington Post has this good article. Apparently, Skilcraft used to produce 21 million of these pens per year (about 30 years ago). Here’s a review from No Pen Intended. It points out that this pen, mainly due to its smaller-than-average size, wouldn’t be great for marathon note-taking sessions. If find this to be true of most ballpoints, as they are not as smooth as gel or rollerball pens. 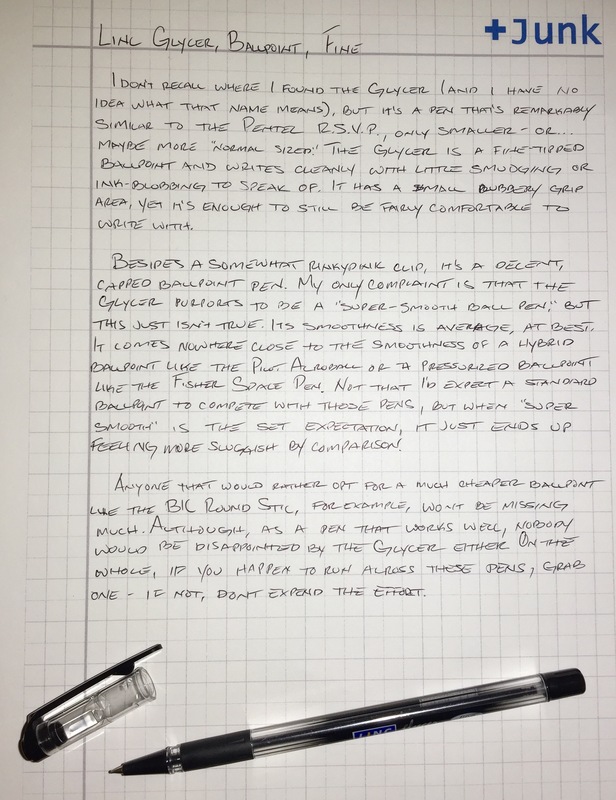 There’s a lot more info about Skilcraft and this pen on the Tiger Pens blog. Apparently the length of this pen equals 150 nautical miles on a Navy map. I’m sure that comes in useful from time to time. Put them side-by-side, and the Retro 51 Hex-o-matic looks a lot like an ‘everyday carry‘ version of the Retro 51 Tornado. But really, aside from the knurled-metal end, the two pens share little similarity. 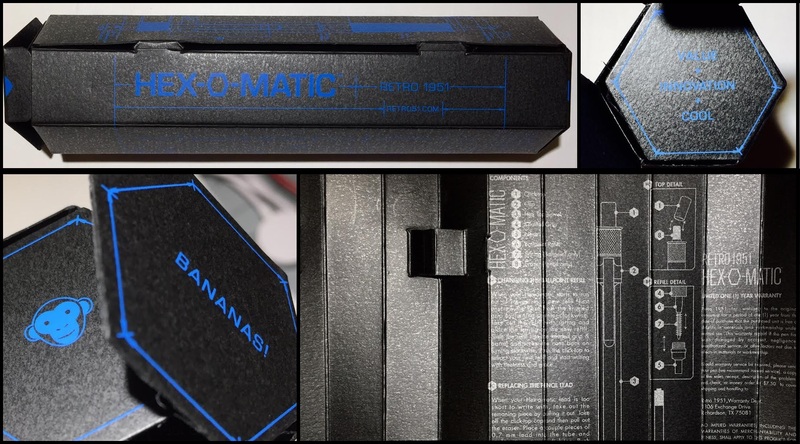 The Hex-o-matic is thin, clickable, and durable. 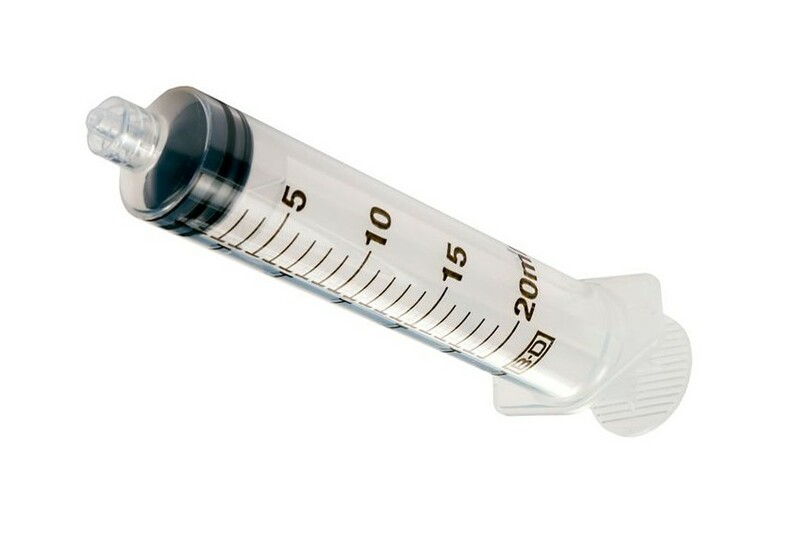 It has a matted, hexagonal body with a round, knurled grip, and it has an overall shape that is reminiscent of a syringe. Its metal construction gives it a nice bit of weight, and, like almost everything Retro 51 produces, I like it a lot. The Hex-o-matic comes loaded with a Schmidt Easy Flow 9000 ballpoint refill, which is the same refill used by the Retro 51 Slim Tornado. 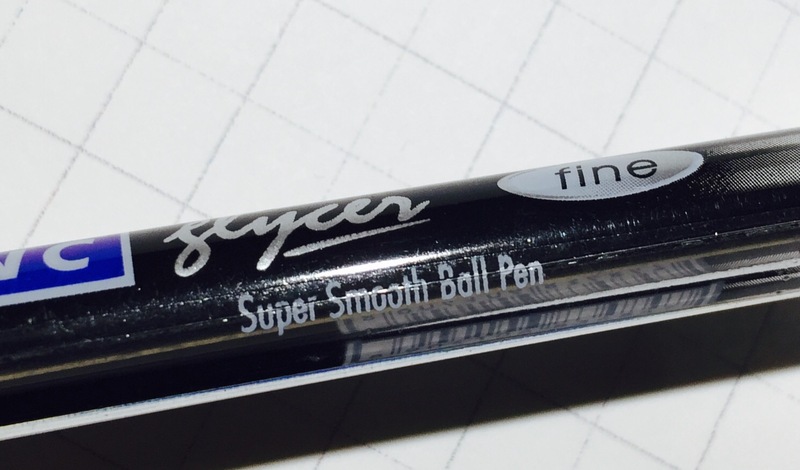 It’s definitely good; much smoother and darker than a typical ballpoint, though it smears more than it ought. However, since it is a pen that seems built for ‘on-the-go’ usage, I really wish it came with a pressurized ink refill, such as the one that comes with the Fisher Space Pen. Unfortunately, that particularly refill doesn’t quite fit, at least without modification. At $28, the Hex-0-matic feels a little expensive, especially when a decent metal pen like the Pentel Energel Alloy RT is under $10. But now having used the Hex-0-matic a while, I find it competing for pocket space against the Everyman Grafton, a favorite of mine (that costs even a little bit more money). So if you want a nice, durable pen to throw in your pocket as you run daily errands, this pen is a very good choice. The Hex-0-matic is also available with a silver barrel, but this post at The Well-Appointed Desk also shows white and orange versions. Where can I find one of these beauties? Also, she has some suggestions for alternative refills for the Hex-o-matic. 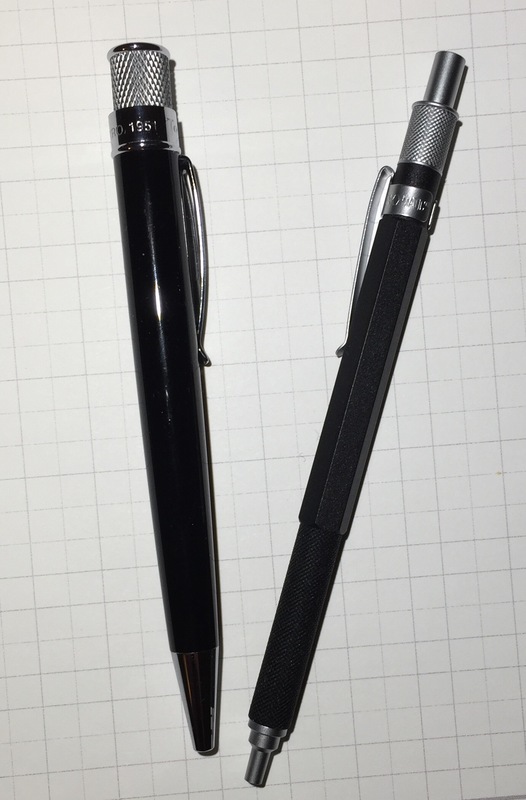 Reviews at The Clicky Post and Economy Pens are both positive, but they also call out the price as seemingly expensive. If you’re curious about the mechanical pencil version of the Hex-0-matic, the youTube channel Clutch Situation has a video review. The Tombow Zoom 707 is nothing if not distinctive. Between the accordion-like twist, the red ball at the end of the clip, and the protruding grip, it looks like no pen I’ve seen. 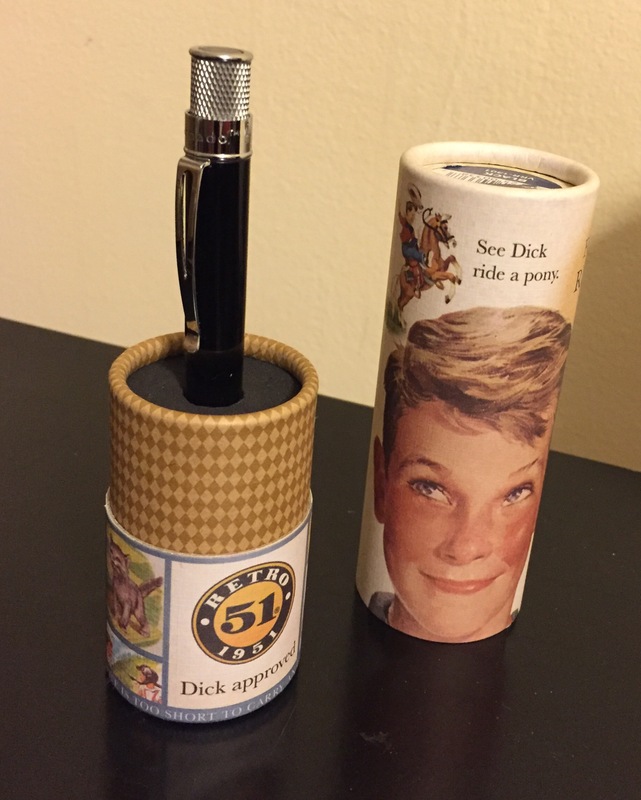 In fact, it seems almost like a novelty pen. That’s not to disparage it; the Zoom 707 is clearly a high-quality pen. 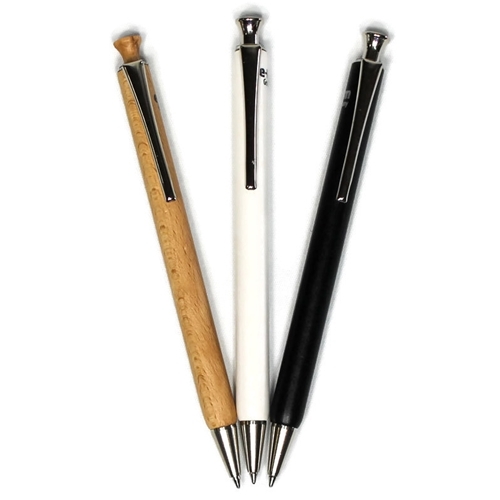 It has a durable, metal barrel, a clip that secures snugly, and a twist mechanism that ejects the pen’s tip smoothly. It has a soft, rubber grip and comes with a ballpoint refill that’s comparatively darker and smoother than most (though some ink blobbing does occur). Due to its size, however, the Zoom 707 is the kind of pen that’s best slipped inside a planner or pocket-notebook. 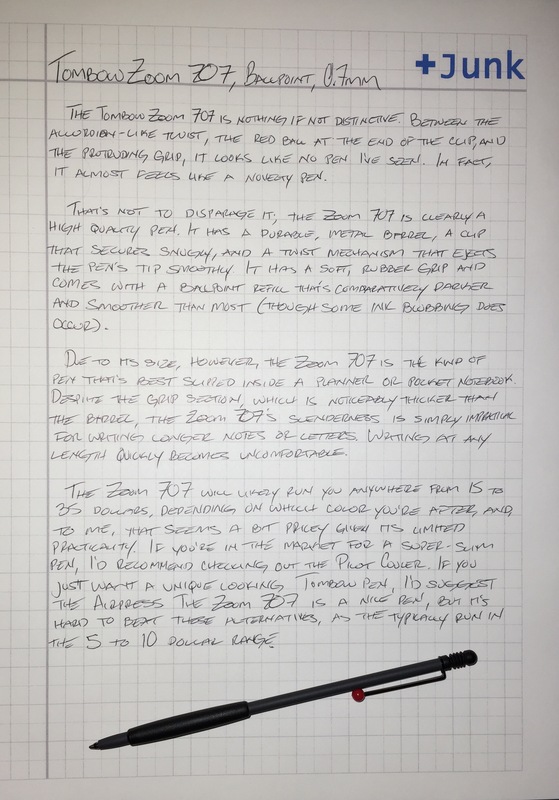 Despite the grip section, which is noticeably thicker than the pen’s barrel, the Zoom 707’s slenderness is simply impractical for writing longer notes or letters. Writing at any length quickly becomes uncomfortable. The Zoom 707 will likely run you anywhere from 15 to 35 dollars, depending on which color you’re after, and, to me, that seems a bit pricey given its limited practicality. 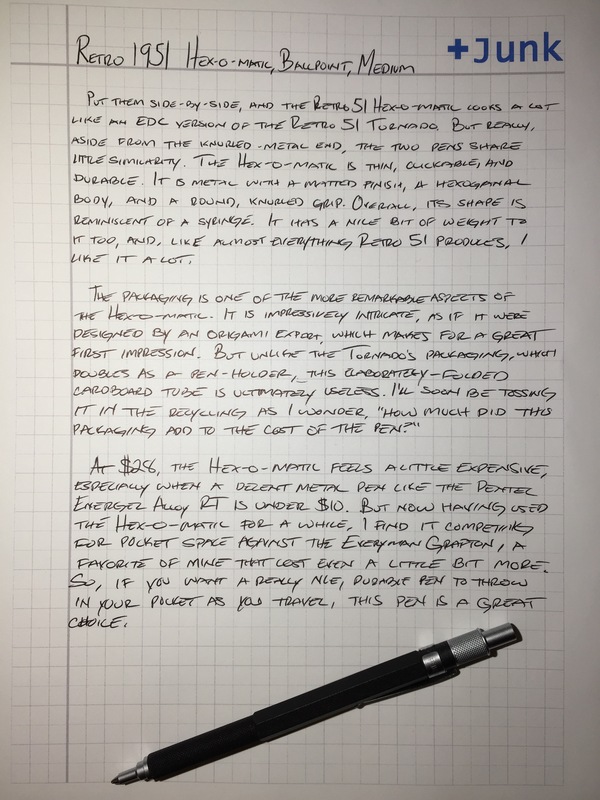 If you’re in the market for a super-slim pen, I’d recommend checking out the Pilot Couleur. If you just want a unique-looking Tombow pen, I’d suggest the Airpress. The Zoom 707 is a nice pen, but it’s hard to beat these alternatives, as they typically run in the 5 to 10 dollar range. The Slim Line is primarily made from beech wood. 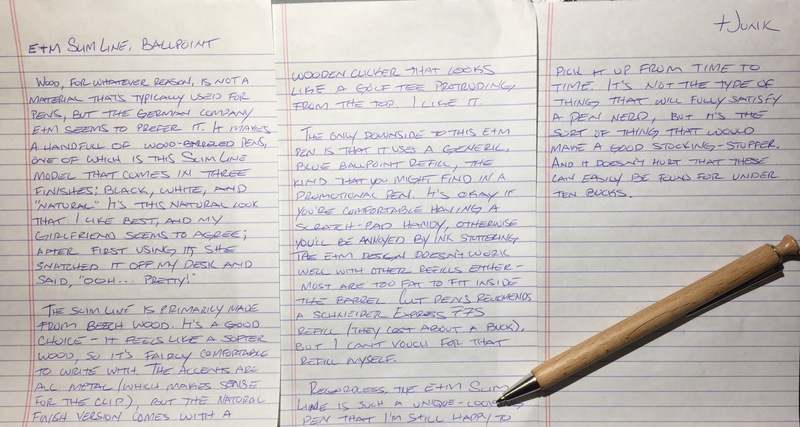 It’s a good choice – it feels like a softer wood, so it’s fairly comfortable to write with. The accents are all metal (which makes a lot of sense for the clip), but this natural finish version comes with a wooden clicker that looks like a golf tee protruding from the top. I like it. The only downside to this e+m pen is that it uses a generic, blue ballpoint refill, the kind that you might find in a promotional pen. It’s okay if you’re comfortable having a scratch-pad handy, otherwise you’ll be annoyed by ink stuttering. This e+m pen design doesn’t work well with other refills either – most are too fat to fit inside the barrel. 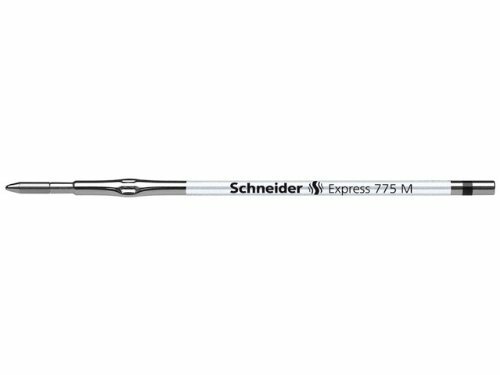 Cult Pens recommends a Schneider Express 775 refill (they can be found for a little over a dollar a piece), but I can’t vouch for that refill myself. Regardless, the e+m Slim Line is such a unique-looking pen that I’m still happy to pick it up from time to time. It’s not the type of thing that will fully satisfy a pen nerd, but it would make a good stocking-stuffer. And it doesn’t hurt that these can easily be found for under $10.